Home Animals Turtle gets hurt – Zoo helps her with toys to get up! Turtle gets hurt – Zoo helps her with toys to get up! Lego fans will love the idea. 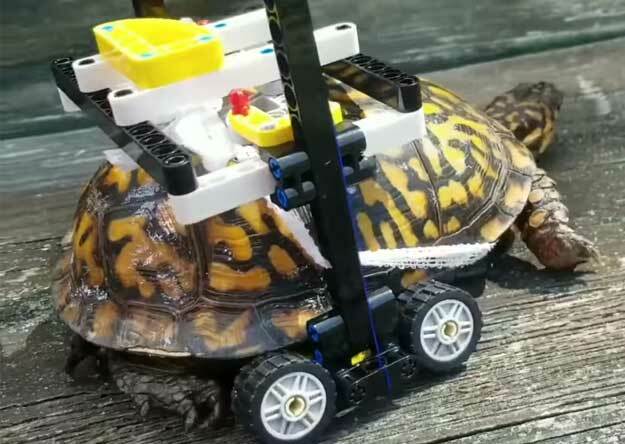 The turtle has a wheelchair made of Lego bricks. A turtle from the state of Maryland has broken a part of their shell. To help the animal, Maryland zoo staff built a wheelchair out of Lego. When a free-living animal is injured, it often has little chances of surviving in the wilderness. This is why animal lovers often help them until they can be released into freedom again. Also in Baltimore, Maryland, a turtle has injured its shell and has therefore not been able to walk properly. 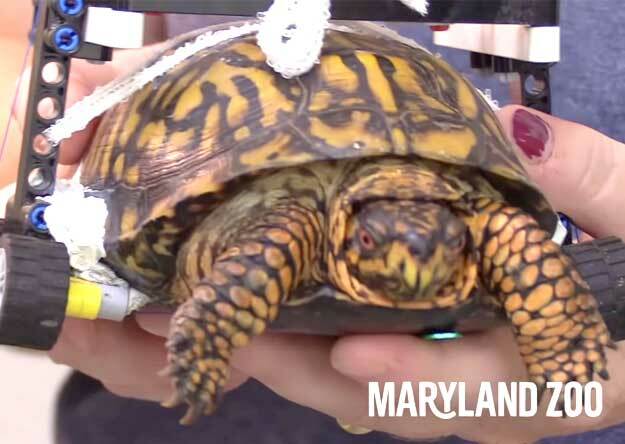 Maryland zoo staff in Baltimore discovered the animal and came up with a brilliant idea to help the turtle. 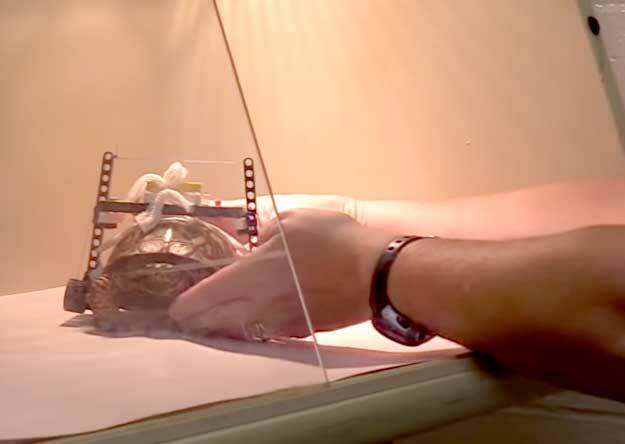 The zoo veterinarian “Garett Fraess” reported in a YouTube video that Veterinarians had found the turtle at the end of July with an injury at the bottom of their shell near the zoo. It is estimated that about 19 different species of turtles live in Maryland and are therefore found in many natural areas. After a life-saving operation, the doctors would have considered how they could offer the reptile a suitable rehab. It is particularly important that the lower part of the shell does not touch the ground during the healing phase. “Nobody makes wheelchairs in turtle size,” explained Garett. But the vet was looking for a way the turtle could walk and at the same time do not have to touch the ground with the shell. “I immediately got a girlfriend to mind, she’s a total Lego lover,” he said. Garett then sent sketches to his acquaintances that showed how the animal’s wheelchair needs to be built and what it would need exactly. And so, a few days later, the zoo staff held a kind of wheelchair for turtles in their hands, as Garett calls it. “I was really surprised how great it worked out and how naturally the turtle could move with it,” explained Garett. The turtle can also behave in a relatively normal way, such as moving his head back to shell completely free when he feels threatened. Until the turtle can march again without a wheelchair and be released into freedom, some more will take. Vet Garett expects about a year. Garett even seems to be pleased that the turtle will stay longer. Feel free to share this article with friends and family members.